When you need flood restoration in South Pasadena any delay or improper clean up leaves you at risk for additional losses and even puts you and your family or employees at risk of serious illness. Yet you’re quite likely to be feeling upset and overwhelmed. So the solution is finding a water damage contractor that can take care of everything. You need a truly professional company like Restoration Masters. Our experts are well trained, experienced, and certified in the many aspects of flood services as well as mold removal and fire damage restoration. There is only a brief 1 to 2 day window for many of the actions required for insurance to cover subsequent deterioration. Within 24 hours mold can become a major problem, and even “clean” sources can become a major health hazard. In less than an hour water can soak into subflooring and even make its way upwards inside walls by a foot or two. Even though surfaces might feel dry, deep-down moisture can remain for weeks causing progressive destruction that might remain hidden for quite a while. But not to worry. Our certified inspectors know exactly what to look for and our expert crews and specialized equipment can reduce those weeks to just a few days. So call us anytime, 24/7. Our fast response teams can be dispatched within minutes to arrive in South Pasadena within an hour with everything necessary to start getting things back to normal again, with a minimum of further losses to the building and its contents. Family owned and operated, we have a great reputation for combining prompt expert services with excellent customer care. From our working relationships with all the leading insurance companies for the South Pasadena area we know exactly what they require in terms of mitigation for secondary losses to be eligible, and exactly what details are necessary in all of their paperwork. We’ll work with your insurer directly so that you don’t have to. That’s at least one fewer thing to be stressed about. And we also bill them directly so that you won’t be making payments then waiting for perhaps months to be reimbursed. Our company is a fully licensed and insured general and water damage contractor. For the very best results we employ inspectors and technicians certified in the many aspects of flood restoration, water damage restoration, fire damage repair, smoke and odor removal, and specialty cleaning by the non-profit organizations IICRC (www.iicrc.com) and CRA (www.crassociation.org/). As needed you’ll have specialists in everything from using advanced equipment for rapid structural dry out, on down to special methods for upholstery and carpet cleaning. And those experts will have the best in state-of-the art equipment such as water extraction gear, refrigerant dehumidifiers, HEPA micro-filters, dry-ice blasters, and ecologically-friendly ozone generators. For proper flood services our expertise and equipment goes beyond a fast pump out and thorough debris cleanup. Whether a basement flood, sewer back up, or “just” a burst washing machine hose, expert sanitation and absolutely thorough disinfection are vital. With quick dry out and the application of antimicrobials we’ll do our best to prevent mold and get everything safe and clean as quickly as possible. As a leading water damage contractor for the South Pasadena area, we have what it takes to minimize losses, recover as many possessions as possible, and return your home or place of business to pre-loss condition. Whether residential or commercial we’ll take care of the building as well as its contents. Water damage restoration has several main stages. Pump out any standing liquid. Water extraction with state-of-the-art equipment cuts overall drying time by 1-2 days. Structural dry out must be as quick and as thorough as possible. We use an array of the latest specialized equipment to bring moisture levels even deep within structural framing down to safe levels several days sooner than most competing methods. 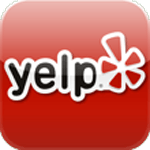 Water damage repair, debris clean-up, and haul-away. Final clean up, haul away, and proper disposal of hazardous wastes. Smoke removal is time-critical. If delayed too long or not completed thoroughly odorous and toxic compounds will have penetrated so deeply that they can no longer be removed. Due to the possibility of severe health issues, mold removal must be performed only by licensed specialists. 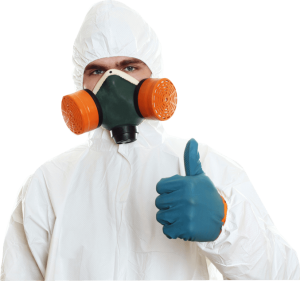 Our certified and licensed technicians begin with assessing the situation, then take all recommended precautions to contain the spread of toxins and spores. They attend to every detail for thorough removal, apply non-toxic mildicide to further guard against regrowth, and neutralize odors throughout the building. South Pasadena is indeed a separate city and provides its own emergency preparation resources to it’s citizens at http://www.ci.south-pasadena.ca.us/index.aspx?page=484. There you’ll find out how to put together a safety kit, create a family disaster plan, and stay up to date on alerts. Plus South Pasadena CA has taken the exceptional steps of providing information specific to businesses riding out a disaster. Did you know nearly half of companies without an emergency plan never reopen? So get started on right away! And should you have a basement flood, mold problem, or need fire or water damage restoration, notify your insurer of the loss and call us immediately for a no-charge on-site estimate.